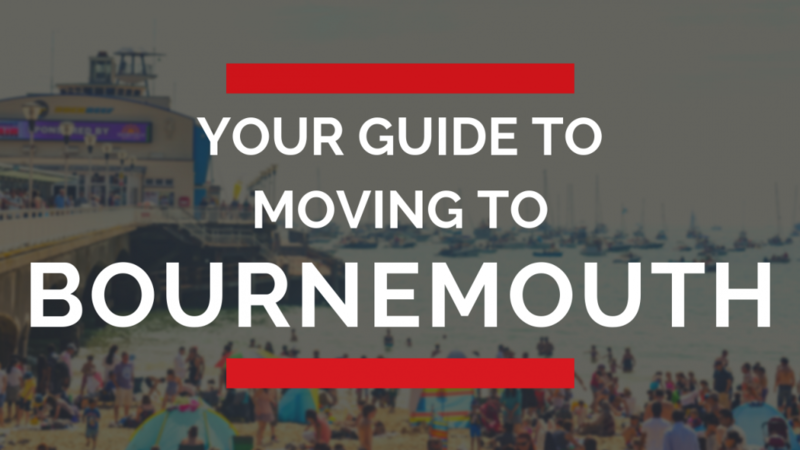 Moving to Bournemouth? Just two hours from London, 45 minutes from Southampton, and an hour from Portsmouth it’s a great place to live and work. Bournemouth is a coastal town with seven miles of beach and an endless supply of entertainment, creativity, and opportunity. Its motto is “beauty and health”. And given the variety of ways Bournemouth can enrich your life, it’s no wonder. It’s a peaceful town that inspired and sometimes witnessed the creative spurts of writers the likes of J.R.R. Tolkien. But it’s also a bustling burg blessed with museums, galleries, playgrounds, amusement arcades, an oceanarium, as well as several leisure complexes and entertainment venues. There’s much to see and do between Christchurch and Poole, and there’s a very good reason for Bournemouth’s reputation as the jewel of the British South Coast, as you’ll soon see. For those who want to put down roots in Bournemouth, this resort town has much to offer. From 2018 to 2019, properties listed on Zoopla went for a median £300,000 which is close to the national average. But Plumplot brings the general figure to £343,000, stating that the average home in Bournemouth rose in value by over £10,000 – about 4 times as much as the average English or Welsh house. Plumplot also shows that the number of houses and flats sold in the area dropped from just over 10,000 in 2018 to mere hundreds in 2019. In other words, Brexit angst may be putting people off buying, but it’s not bringing prices down. It’s no wonder nearly 74% of properties here are non-rental. So, it may be wise to move quickly if you’re looking for a house to make your own, before demand starts picking up. But before you decide which property to invest in, make a note of this Plumplot report, which says newly-built properties in Bournemouth saw a whopping £49,100 rise in average price change in the 2017-2018 financial year. About a fifth of the population in Bournmeouth is 18 years or younger. But the number of school-aged children is somewhere around the 30,000 mark, according to this 2016 report. Student numbers are high, mostly because Bournemouth is a very popular destination for young foreigners who take up English Language courses. But when you exclude them and all the migrant students that flock to the Arts University and the Bournemouth University based near Poole, you’ll find that the school offering is generous. Tens of colleges, nurseries, and schools are scattered across town. Queen’s Park Academy is a primary school that takes on children aged 7 to 11, while St Walburga’s Catholic Primary School welcomes children as young as 4. Another outstanding-rated Bournemouth school is Pokesdown CP, within walking distance from Tregonwell Academy, where pupils can study from the time they’re 5 and all the way up to 16. Should you choose to relocate closer to Poole, where housing tends to be slightly cheaper, you’ll have a choice of Good and Oustanding rated schools nearby, including the Manorside Academy and the Lilliput CofE Infant School. When it comes to secondary schools, Bournemouth School for Girls has been performing well as of late, and it’s only minutes away from Winton Academy, a secondary sponsor-led school for boys. Linwood School, a community special school in Winton for children aged 6 to 18, rated outstanding by Ofsted. Also rated outstanding is the Victoria Education Centre, a non-maintained special school in nearby Poole. Obviously, Bournemouth is a beach-goer’s dream. A stone’s throw away from Bournemouth Pier lies Alum Chine. Shallow waters at the seafront make it perfect for tiny tots. A ribbon of golden sand tucked between the promenade and the warm and clear waters of Poole Bay, it’s screaming for sandcastles. It’s part of the vast Bournemouth Beach, which extends from the Sandbanks to Boscombe, a.k.a. “Bos Vegas”. But Hengistbury Head Beach, part of a nature reserve, is by far the locals’ favourite stretch of sand, dotted with colourful beach cottages. It fences in the Christchurch Harbour at the eastern end of Bournemouth Promenade. The views across the bay and a ride in the cliff lift will make this leisurely stroll worth your while. But if little feet aren’t up for the challenge, there’s always the colourful Land Train to scoop them off. Nature lovers have plenty to look forward to in Bournemouth after a long week at work or school. A quick car ride westward, along the coast, takes you to Old Harry Rocks in Studland Bay. Some take their canoes, rafts, and gliders down there, while others settle for the breath-taking views from the cliff. Whenever you’re up for a hike, do like the dinosaurs did and roam the Jurassic Coast. The first natural English attraction to be designated a World Heritage Site, this 250-million-year-old stretch of rock spans 95 miles. Fun fact: it’s the world’s most comprehensive geological record of time. Of course, if you’d rather let your bike do the hard work, head east to the New Forest National Park, where thousands of native ponies roam freely. If you’re an art devotee, Bournemouth’s the place to be. On the promenade, you’ll find the Russell-Cotes Art Gallery, which is a medley of fine arts, history, and fashion exhibits. Bring an open mind and be prepared to be thoroughly impressed by gothic stained glass, ornate Victorian mantel clocks, renaissance sculptures, black-and-white photography, and a variety of artefacts that date back to the Middle Ages. To get your fill of concerts and theatrical performances, The Pavilion is the place to be. It’s minutes away from the Oceanarium, and a good way to shift your attention back to the human condition after watching the colourful creatures of the deep run in all their splendour. Whenever it’s time for some soul-searching, St. Peter’s Church will welcome you with its impressive murals and mesmerizing stained-glass altar for a visit, a mass, or sometimes an exhibit. Likewise, the Christchurch Priory, a few miles east of Bournemouth, will impress with its sheer size and serenity. If you believe in the healing powers of shopping, Bournemouth’s pedestrianised high street is your go-to for a quick pick-me-up. Of course, that’s not all. Westbourne is another prime shopping destination, where the locals come to socialize and unwind after a quick shopping spree. Bournemouth hospitality is best appreciated fork in hand. The seafront is dotted with world-class restaurants, cafes, and bistros, but the food offering spills over all the way to campus grounds. Pop into the Steam Vintage Tea Rooms for a chat and a dash of gossip over a wafting cuppa. Let your love of Lebanese run loose at Luxor. On workdays, opt for some Indian take-away from Tiger Bay. For some night-time noshing, head over to Roxy’s Bistro Bar, where Thursday is open mic and quiz night. If you’re planning a special evening out, drop everything and book a table at the Arbor, the self-proclaimed top restaurant of Bournemouth, with two AA rosettes to prove it. But ultimately, you’re very likely to do most of your eating at one of the three favourite local restaurants. Moose Kitchen in Charminster is a place where Canadian converts come not for the full bar or the free WIFI, but for the North-American grub. You’ll find a good bar in Bournemouth at every turn. Whether it’s a hen do at Rubyz, heavy tunes at the Old Fir Station, a night of live music with fellow students at Sixty Million Post Cards, or a game of pool at Felson’s Cocktail Lounge and Stick Hall, your plans for the night are a short walk away when you live in Bournemouth. But all the best bars in Bournemouth are within walking distance from the seafront. As the name suggests, Be at One Cocktail Bar is a great place to bring your crew, but the cocktails are equally exciting for lone travellers. With names like ‘Jamaican Me Crazy’ and ‘Jump Ship’, how could anyone resist? Then there’s the Firkin Shed. This East Dorset micropub is a hop, skip, and a jump away from the local library. Where else could you show off your literary prowess, if not this blues rock themed watering hole with the quirkiest door in existence? But a good night out doesn’t get any better than a soirée at the Smokin’ Aces. With whiskey bottles on display, rock music on low, and cool cocktails on tap, this truly is the bar with the most eclectic clientele and cocktail menu. This brief intro into life in Bournemouth just about scrapes the tip of Bournemouth’s greatest attractions. And the list doesn’t get any less exciting as you go. But please don’t take our word for it. Come see for yourself, and let Bournemouth be your muse. And don’t stop there. 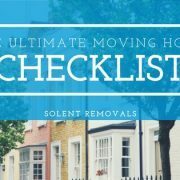 Read our Guide to Moving to Southampton for alternative destinations and places to achieve a better work-life balance on the South Coast.